Ukraine International Airlines welcome the conclusion of the Open Skies agreement between Ukraine and the United States of America and regards it to be an overwhelmingly important stage of Ukraine`s integration into global aviation community. The Open Skies agreement promotes increased travel and trade, enhances productivity, and spurs high-quality job opportunities and economic growth. Thus, the new agreement eliminates government interference in the commercial decisions of carriers about routes, capacity, and pricing allowing carriers to provide more affordable, convenient, and efficient air service. By granting carriers unlimited access to the partner country, the Open Skies agreement also provides flexibility for alliance partners while supporting high standards for operational safety and security, as well as quality management. This agreement strengthens bilateral economic ties and facilitates the growth of passenger carriage between the United States and Ukraine. It is an example of the strong bonds of friendship and cooperation between the two countries. UIA expresses confidence that the agreement`s conclusion and entry into legal force will fuel aviation development since it allows wide latitude when choosing routes, aircraft types, frequencies, ticket fares and operation models. 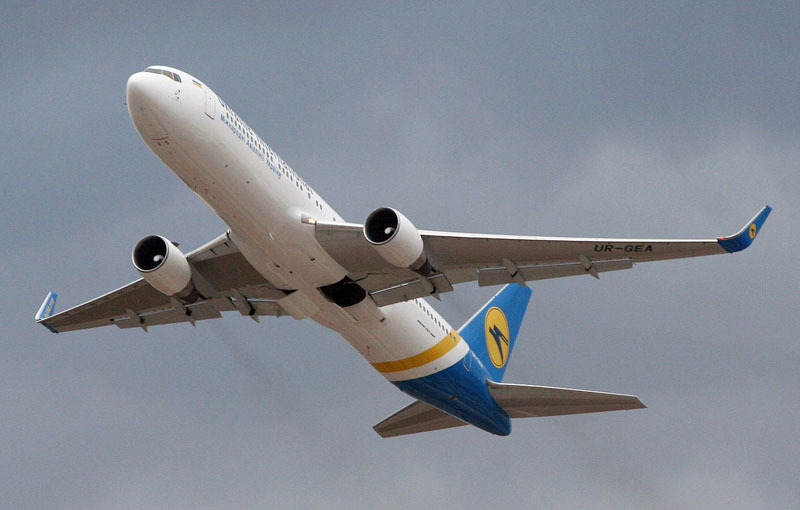 As the only Ukraine`s carrier that is currently operating non-stop scheduled flights connecting Ukraine and the USA, UIA intends to seize the new opportunities to extend its route network in the US. “Deregulation of the Ukraine – US aviation market is in line with the latest global trends, – noted Yuri Miroshnikov, UIA President. – We are confident this step will boost competition allowing not only UIA but other carriers – both Ukrainian and North American – to take advantage of the agreement and plan their operations and business more efficiently. We welcome the conclusion of the Open Skies agreement and are very optimistic about the future. We appreciate professionalism and efforts of the President and the Government of Ukraine, Ministry of Foreign Affairs of Ukraine and Diplomatic Mission of Ukraine in the US, the Minister of Infrastructure of Ukraine and the Head of Civil Aviation Administration of Ukraine since their dedication and perseverance led to such an impressive breakthrough. On behalf of the UIA team let me express profound gratitude to everybody involved”. Simultaneously, signing of the Agreement on Common Aviation Area between Ukraine and the European Union has become the issue of the highest importance to Ukraine, Ukrainian carriers, and passengers. Currently, the case of Gibraltar-related formulation is the only impediment to the Agreement conclusion while there are no barriers on the part of Ukraine. UIA expects the European Union to commence the procedure as soon as possible. Beyond that, deregulation of air traffic between Ukraine and the East is also of critical importance. Gaining access to the overregulated eastern markets is essential for further development of our country`s transit potential. It will allow gradually opening the eastern aviation markets and expanding flight opportunities between Europe and Asia.